There have been no shortage of research articles we have posted over the years linking serious health outcomes to the phthalates* and other chemicals of concern contained in commercial air freshener products. 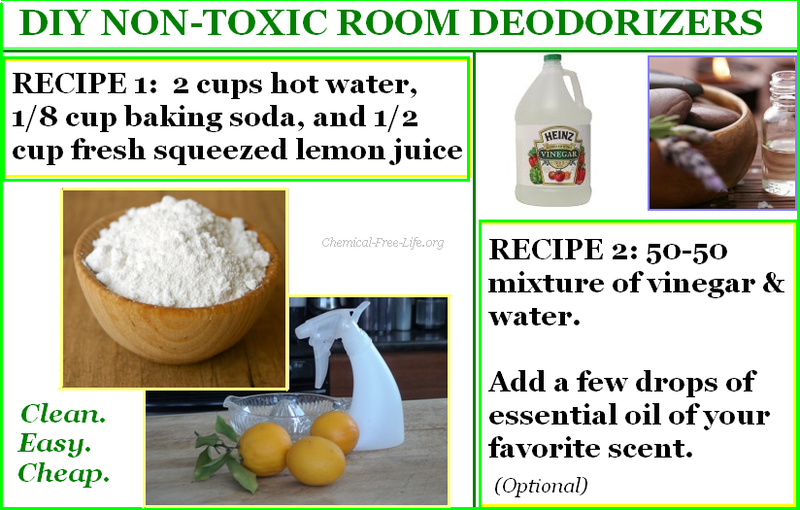 Fortunately, there is an alternative…These DIY recipes (see above graphic) are effective, far cheaper, and smell better (you can customize the scent you desire!) than the heavy, toxic, fake smells pushed by mainstream big chemical companies. Make the switch. It is easy, economical and far safer. Do it for your family, your friends, your coworkers, and for your pets. Do it for yourself. Previous Big Chemical offers consumers transparency about their products, but not in the U.S.